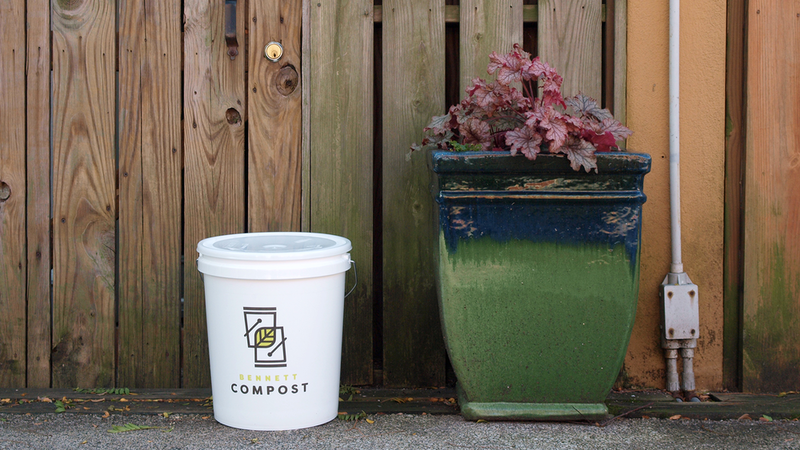 Our goal: to make composting easy and accessible for households and businesses in the Philadelphia area. Fill your bucket with apple cores, weeds from your garden, newspaper - the list of what you can compost is longer than you think! We'll pick up your bucket weekly - just leave it outside before you go to sleep. We'll take care of the rest. 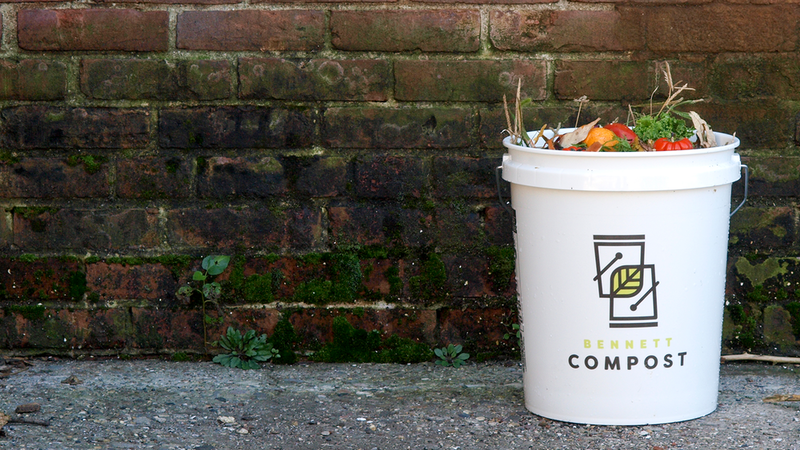 Our compost is made from a blend of food scraps, wood chips and leaves - all sourced from our residential and commercial clients here in Philadelphia. After 100 days in large aerated piles, your kitchen scraps are ready for the garden! As is the case with everything we do, our compost products are made exclusively from sustainable remnants from other industries, like rice hulls and coconut coir. Grab a bag of our compost, worm compost, or potting mix for your garden, window boxes, and potted plants online or at local Philadelphia farmers' markets. We even offer free delivery in Philadelphia! In 2009, Tim Bennett wanted to compost. Unfortunately, he was living in a second story South Philly apartment and wasn’t sure how to get started. After talking with some friends at dinner about it, he realized he wasn’t alone. It was a light bulb moment. He put $100 in a bank account and Bennett Compost was born. Since then our team and process has continued to evolve. 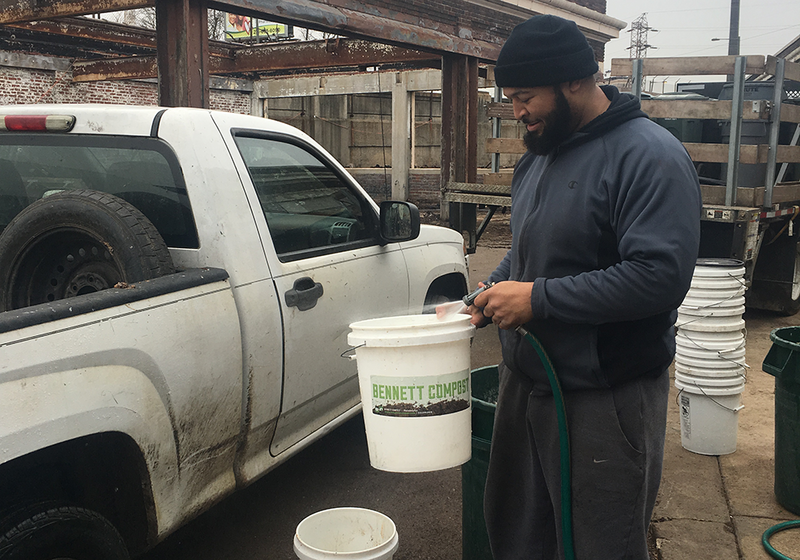 Currently, Bennett Compost picks up from 2000+ households and businesses every week, keeping over 52 tons of material out of the landfill every month. In 2018, Jennifer Mastalerz joined Tim as an owner of the business. An architect by training, Jen had been composting since 2010. 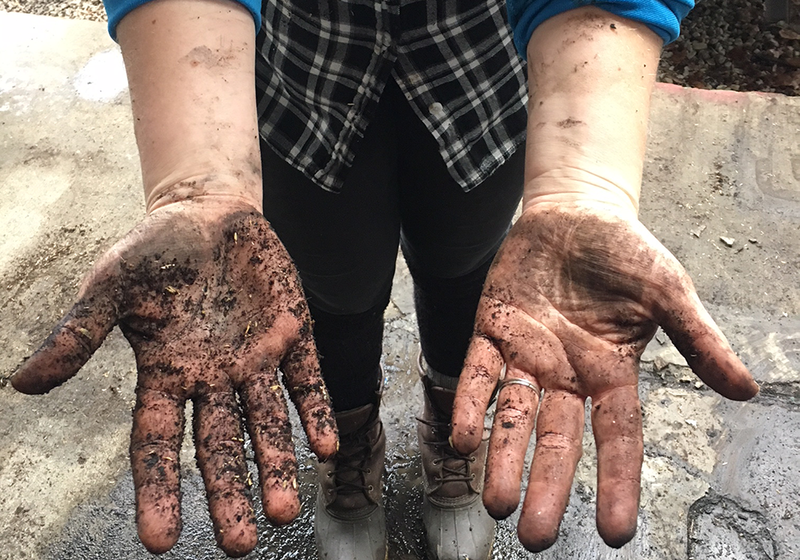 She first got her hands dirty composting with Philly Compost and then went on to start her own bike-powered composting business in Fishtown. 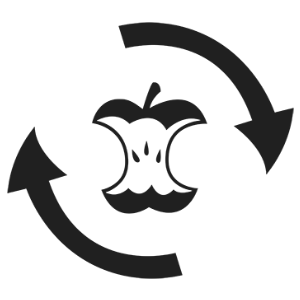 Our owners, 5 full-time + 3 part-time employees believe that composting should be simple, and good, microbial-rich soil should be readily available. Bennett Compost believes in paying all employees a living wage, and offering health coverage to its full-timers. 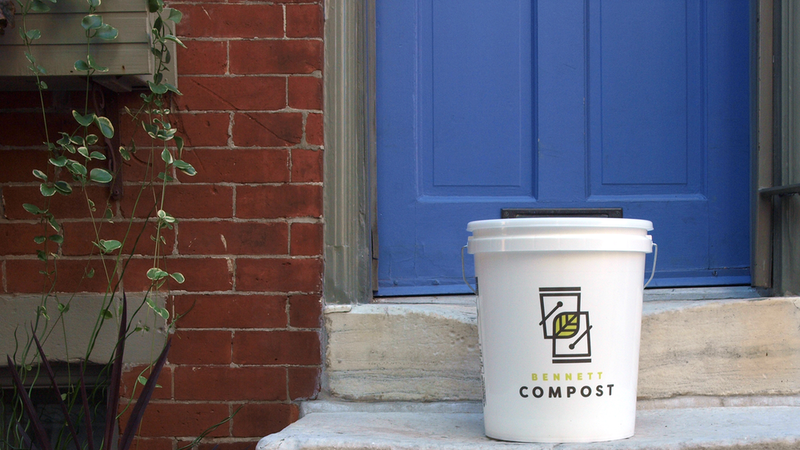 Whether collecting and emptying compost buckets in vehicles and on bicycles, transforming your food scraps into compost at our site in North Philly, responding to your emails and phone calls, or selling our soil products - we are here to provide Philadelphians with an opportunity to connect with our earth through composting! We're always on the lookout for talented, enthusiastic people to join our team! Fill out the below form to learn more & be considered for current and future opportunities at Bennett Compost! Want to join our team? Fill out the below form to be considered for current + future positions! 2901 West Hunting Park Ave.
Did your bucket or lid blow away or mysteriously disappear? Ready for a bucket upgrade? We can help with one of the options below. Have an issue with your pickup? Going away and want us to skip your collection? Thanks for getting in touch! Your bucket will be delivered at your next scheduled pick-up, unless you hear otherwise. Thank you for getting in touch! If your pickup was missed, please LEAVE YOUR BUCKET OUTSIDE unless you hear otherwise from us. We’ll be in touch if we’re unable to schedule a make-up pickup within 24 hours. In the case that we overlooked your bucket on this week’s route, we’ll work with our team to determine what happened so we can avoid in the future. Give us a call if you have any questions in the meantime! Have another issue, or a question about what you can compost? Let us know!